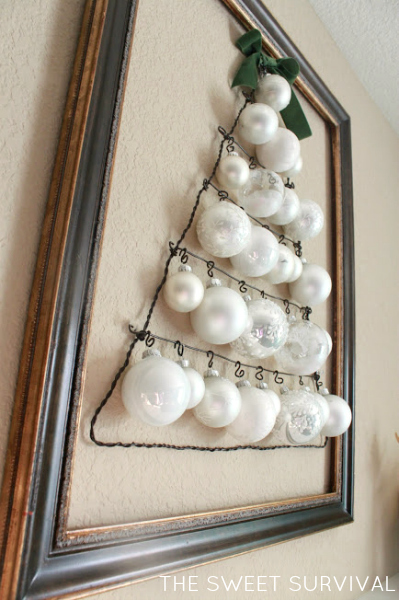 If you have too many Christmas ornaments (is that possible) or just want a fun display in a room that won't accommodate and actual Christmas tree, check out this beautiful Christmas tree shaped ornament display. The perfect way to show off some of your favorite ornaments that didn't quite make it on the tree this year. You can check out how to make a tree shaped ornament display over at The Sweet Survival.